The result is an alternation of signs and colours that restore both the urban environment and the home interior using everyday items such as medicine packages, creating a short circuit between what we see and the information that we would like to access. 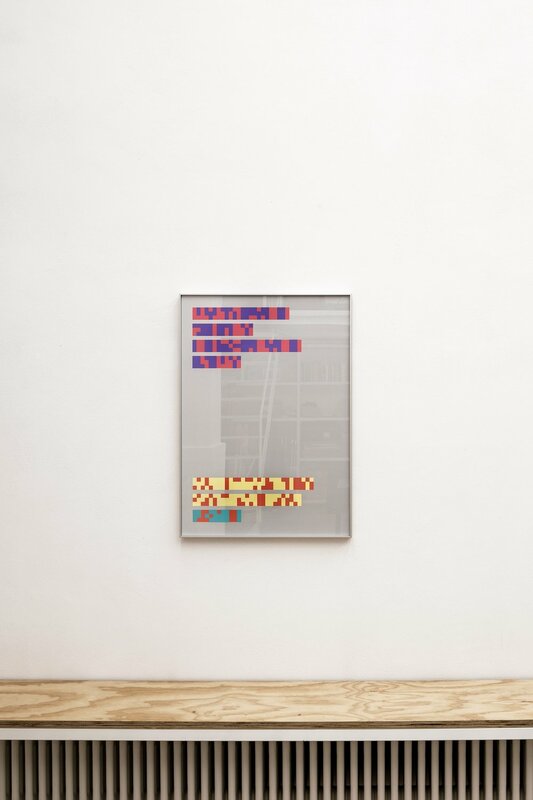 Through its aseptic language, Codex seems to take us back to point zero of communication: a galactic space of signs precedes the distinction between text and image, without any frills or poetry, and interrogates us about the boundary area where graphics are always positioned. In the era ruled by algorithms, where every piece of information can be accessed immediately, Codex and its silent message ring out as a challenge and provocation to the certainties we take for granted.